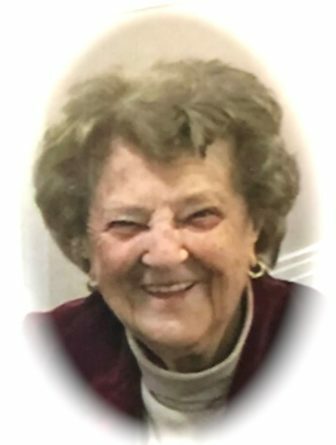 Ethlyn Irene Bleiler of Watertown died on January 26, 2019 at the age of 96. Beloved wife of the late Joseph J. Bleiler. Devoted mother of Joseph J. Bleiler, Jr. & his wife Yvonne of Hudson, Stephen J. Bleiler & his wife Diane of Watertown, and the late Gayle Marie Bleiler. Loving grandmother of Joseph S. & James J. Bleiler and Meghan E. Lutz. Dear sister of Alice Richard of Duxbury, Dorothy L. Leslie of Stoughton, Nancy Lund of Billerica and the late Mildred MacLeod, George R., and Frederick Lund. Also loved by 5 great-grandchildren and many nieces & nephews. A visitation will be held Thursday, Jan. 31, 2019, from 9:00–10:00 a.m. in the MacDonald, Rockwell & MacDonald Funeral Home at 270 Main St., Watertown, followed by a Funeral Mass in the Church of St. Jude, 147 Main St. Waltham at 10:30 a.m. Relatives and friends kindly invited. Interment St. Patrick Cemetery.